To "huff and puff" your snow ball off the table and into a cup first. 3. Each player, using their paper towel roll, will blow the ping pong ball across the table and try to get it into one of the cups. If they get the ball in a cup they get to pick one of the treats or prizes in that cup. Play until all the cups are empty. If a players ball goes over the edge, and lands on the floor, their turn is over. The winner could be the one who gets the most prizes, or leave the prizes out and you can just make it a race. First one to get their ball in the cup. For smaller children, no need to race or have treats. Simply have them try to get the ball across the table. You can also set up cups, or large bowls on the ground for younger children. That way when the balls roll off, they can see if they land in a bowl on the ground. Another fun thing to do. 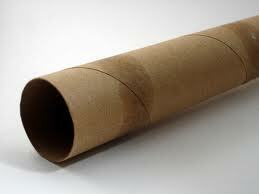 While you are setting up the cups, have each person decorate their paper towel roll. Crayons, paints, stickers, their name. Kids love to personalize their things. Fill the easier cups with lesser prizes. Fill the most difficult cups with the best prizes. 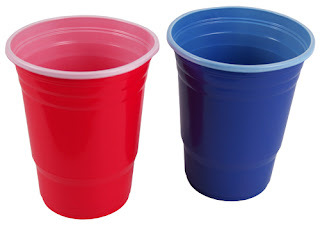 You can also tape the cups to the top of the table on their side. Set up an obstacle course, like miniature golf. Number the cups and tape them on different sides of the table and some on the top of the table. Players then have to"play" the course, "blowing" their ping pong ball into each cup in order. The first one to finish wins. This is also extra fun on a hard wood floor, more space. As long as you don't mind crawling on the ground. 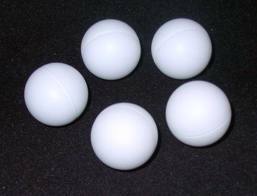 When we didn't have ping pong balls, we have also played with cotton balls, you just have to blow a lot harder.